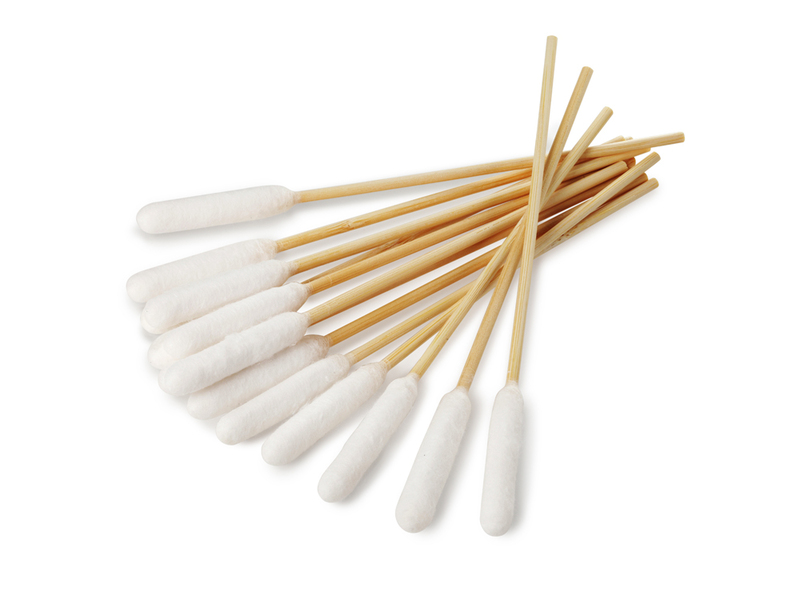 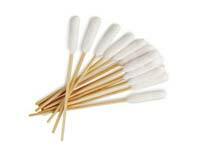 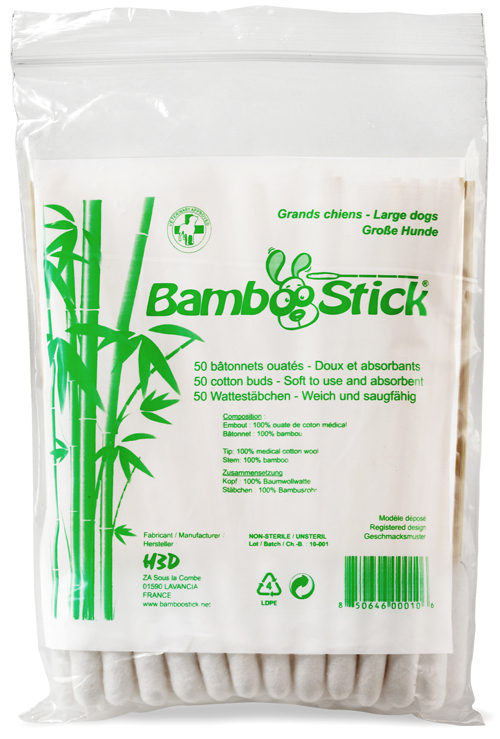 BambooStick® is a king size cotton bud specially designed for ear care in medium to large dogs. 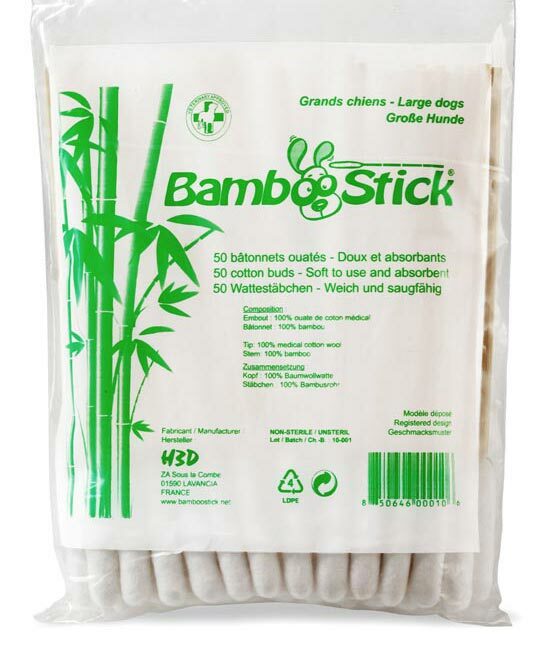 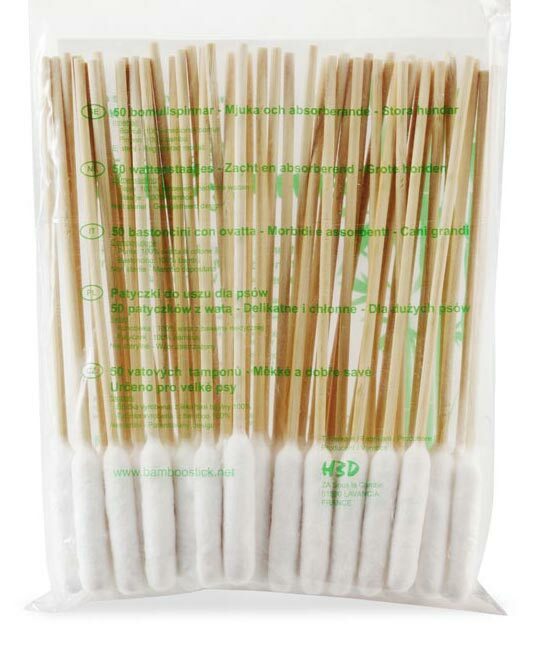 These 100% medical grade cotton wool buds and bamboo sticks offer greater bending stress. 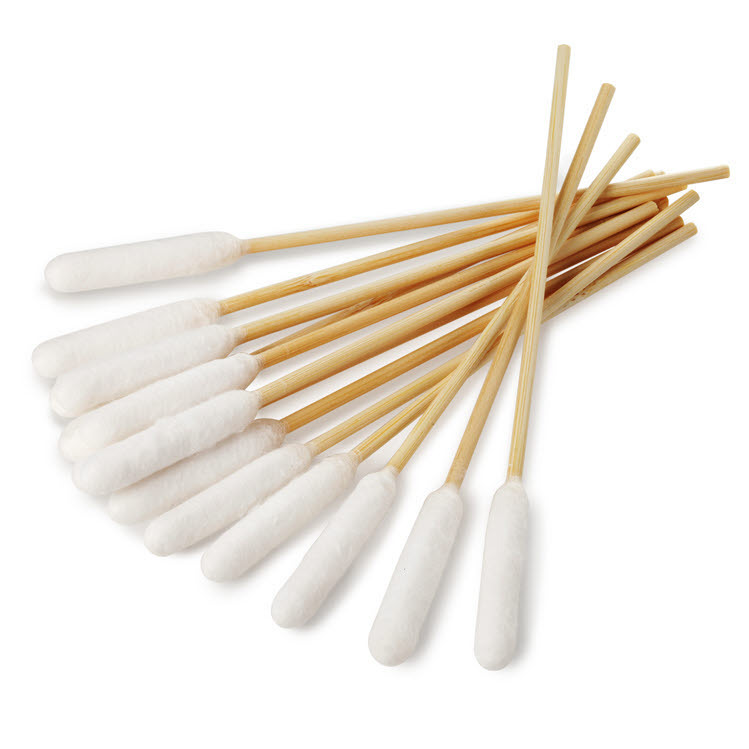 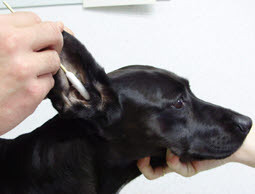 They are 12 times more absorbent than human cotton buds and allows cleaning the dog's ear without any risk of touching the eardrum. Designed, tested and approved by veterinarians and groomers.